March Music and Dance Classes! QMD Dance Teams Support CHKD. ​QMD Performance Teams Shine in Disney! Cello, Flute, Saxophone, Trumpet, Trombone, Low Brass, and Dulcimer Lessons, and more! We also Offer Music Funtime Preschool Music Classes for children 2 years and up. More than just a play group we have 2 and 3 year old's reading music. Are we the right dance school for you? We are located In Chesapeake: Quality Music and Dance in the Great Bridge / Hickory / Grassfield, area of Chesapeake Virginia, is Conveniently located at 717 South Battlefield Blvd. next to Pollards Chicken, and Food Lion, just off the 168 By Pass close to Interstate 64 and 464 we are only minutes away from all of Chesapeake, Virginia Beach, Norfolk, Suffolk, Portsmouth, Moyock, Camden County, Elizabeth City, and South Mills in North Eastern North Carolina. Our Dance : Hip Hop Dance Classes, Ballet Dance Classes, Jazz Dance Classes, Contemporary Dance Classes, Ballroom Dance Classes, Tap Dance Classes, for All Ages. We have been changing lives since 1997 as we teach not music and dance but life lessons along the way. As parents we realize you have a choice between several different music and dance schools. All dance and private music schools are not the same. We constantly renovate and improve our facilities to ensure we are always providing our students and parents with the best experience for music and dance instruction possible. While you are here researching the best school for you, please consider the benefits of becoming a Quality student and find out why our students feel we are Virginia and North Eastern North Carolina’s number one choice for music and dance classes. 1. Music and Dance Classes all in one location to save Busy families Time and Money. A. Ballet, Hip Hop, Jazz, Tap, Contemporary, Creative Movement, and Preschool Dance Classes. B. Voice, Piano, Guitar, Drums, Bass Guitar, Violin, Viola, Cello, Trumpet, Clarinet, Flute, Saxophone, Trombone, Baritone, Banjo, Mandolin, Dulcimer, Musical Theater Classes, and ﻿Music﻿ FunTime Preschool Music Theory Classes. Quality Music & Dance is a unique school offering quality private & group music and dance classes at one convenient location. Multiple students can take private music lessons and dance classes at the same time on the same day. That means parents only have to drive to one location for everyone's lessons & classes. What a time saver for mom and dad! Our Dance teachers, in addition to their teaching credentials, our teachers have warm personalities, are extremely friendly and dedicated to teaching the style of dance that you or your children want to learn in a fun family friendly environment, with age appropriate choreography and costumes. We offer Dance Classes and Music Lessons six days a week from early in the morning to late at night to accommodate your busy schedule. Visit our Testimonial Page to see what our parents, and students are saying. Every year, aspiring music teachers start their own studio, and a year or two later it’s closed. Quality Music and Dance has a proven track record of offering quality lessons in Chesapeake, and the surrounding area year round. Our full time mission is teaching music and dance lessons trusted by Thousands of families for over 20 years. With almost 8,000 square feet we have the most spacious and parent friendly waiting area in Chesapeake. Instead of waiting in a small space in the front of most studios, or walking around a retail store, our clients enjoy a spacious, professional parent's lounge with comfortable chairs, kids toys, coloring books, tables so siblings can do home work, Wi-Fi, magazines and HD monitors to watch our dancers. We also provide observation windows on every door so that you can watch your child's lesson while you wait. Or if you prefer you can sit in on their music lesson anytime you like. 6. The most technologically advanced and fully stocked music lesson rooms in Chesapeake! Technology is also a big part of lessons at the Quality Music and Dance that’s why we have installed LED monitors in our classrooms, and our dance studios. The monitors have cables that can attach to iPods, iPads, or laptops. This allows students to have a modern and engaging lesson using music and dance teaching apps, music software, Skype, and more. Feel free to "Bring Your Own Device" to your lesson in addition to your instrument! No other school in Chesapeake offers this technology. One of the things that has really set us apart is our focus on providing lessons that are fresh, new, and engaging. There are so many great teaching apps out there now that we felt we had to update our teaching rooms with LED monitors. By doing so, our students have never run the risk of being bored by their lessons. It's a challenge to engage children or adults, but by integrating technology such as teaching apps from the iTunes store, GarageBand, ProTools, you name it, we're providing a cutting edge lesson experience in the Hampton Roads. Free music recitals held in our studio with 2 baby grand pianos, free customer appreciation parties, dance work shops, master classes and also our year end dance recital. Thru out the year we offer opportunities to perform to showcase our students talent! For our music students these recitals are held in our studios recital hall on two baby grand pianos, with refreshments provided for free and unlike many schools in Hampton Roads we do not charge music recital participation or admission fees. We are the only music and dance school in Chesapeake that offers full time professional customer service for their students six days a week. Many music and dance studio desks are staffed by the teacher/owner or more commonly an answering machine. We have five office team members who are available at the front desk to assist our clients quickly and professionally. 9.Trophies, certificates and awards to celebrate music and dance student achievement. We are the only music and dance school in Chesapeake that offers student discount cards for their students which saves them money all throughout the year. Quality Music and Dance also sells music books, instruments, dance shoes, dance wear, and accessories. All of our current students receive a student discount card that saves them money on all of their music and dance supply needs. 12. Located on Battlefield Blvd. in the heart of Great Bridge. Due to its central location, our school is convenient to all areas of Chesapeake, Norfolk, Portsmouth, Virginia Beach, and Northeastern NC. Close to our school, you will find great shopping, and dining. Our location is convenient to interstate 64 and 168 and we have many students from all over Hampton roads and Northeastern North Carolina. 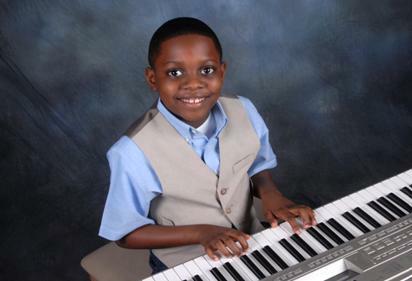 We are the only music school in Chesapeake that offers a picture day for their students. Quality Music and Dance does not require semester minimums for lessons. Every student here is on a month-to-month basis.